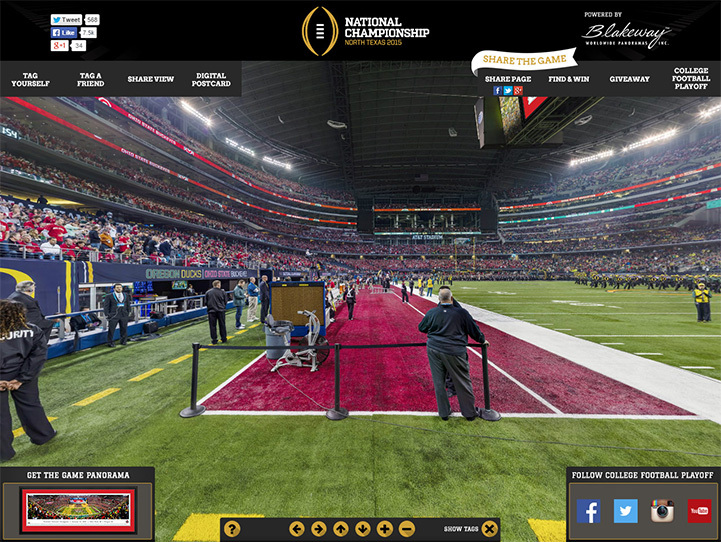 This panorama, taken by Christopher Gjevre, spotlights the celebration of a new era and the biggest college football game of the year, the 1st annual College Football Championship Game, between the two top ranked teams of the 2014 season - the Ohio State Buckeyes and the Oregon Ducks. No stranger to adversity, the Buckeyes completed a remarkable in-season turnaround (14-1) and began the first major college football playoff as an underdog, the fourth and final seed, yet, became the truest champion big-time football has ever crowned. With this win, Ohio State captured the night, made history and claimed their eighth national title; soundly ending the year-long debate to determine the best team in the 2014 college football season.